The Huge (And Rarely Discussed) Health Insurance Tax Break : Shots - Health News Most people don't realize that they don't pay taxes on the value of health benefits from their job. If employer-provided health insurance was taxed in the same way as wages, the federal government could gain $250 billion a year. But it would mean higher taxes for many people. The largest tax break in the federal code doesn't appear on the forms the average person fills out each year. 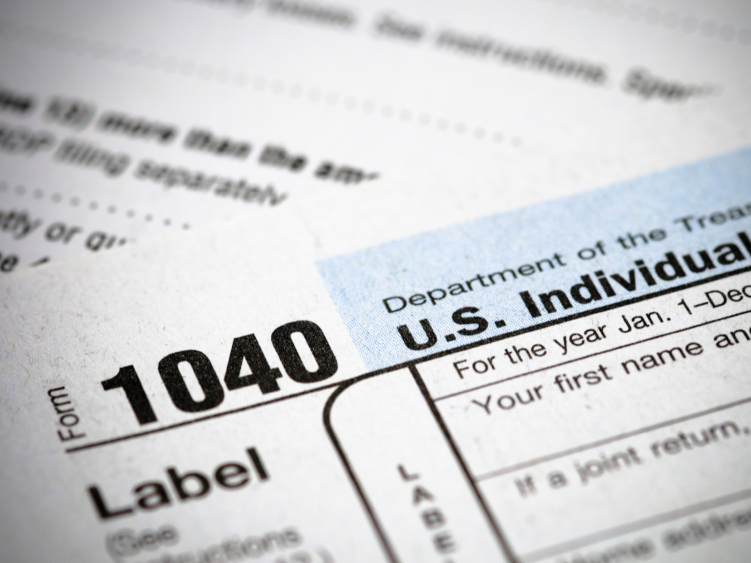 What's the largest tax break in the federal tax code? If you said the mortgage interest deduction, you'd be wrong. The break for charitable giving? Nope. How about capital gains, or state and local taxes? No, and no. Believe it or not, dollar for dollar, the most tax revenue the federal government forgoes every year is from not taxing the value of health insurance that employers provide their workers. Yet most people don't even realize that they don't pay taxes on the value of those health benefits. That's too bad, says MIT health economist Jonathan Gruber, because it represents a whole lot of money. "If we treated health insurance the same way we treat wages," says Gruber, "we would raise about $250 billion per year more." That not only makes the health insurance exclusion the federal government's largest tax break, but it's also "the third largest health care program in the U.S., after Medicare and Medicaid." And just how much does $250 billion represent in health care terms? "If we ended the tax exclusion, we could cover every uninsured American with health insurance twice over," Gruber estimates. But there's another thing about the health care deduction that's kind of surprising: It came about largely by accident. "It was just a way to allow employers to evade the wage and price controls of World War II," says Gruber. "And it's sort of grown exponentially since, and there really isn't a single health care expert who would design a system from scratch which would include this feature." One big reason economists from across the ideological spectrum don't much like the insurance tax exclusion is that it's regressive. That means those it helps the most are the richest people with the most generous health plans. "So if you're uninsured, you get nothing," says Ron Pollack of the consumer group Families USA. "If you're a low-wage worker, you get a very little tax break. If you get a lousy health care plan you get a very little break out of this." And giving people a tax break encourages them to consume their compensation in the form of health benefits rather than wages, says Gruber. In other words, it's a discount on health insurance. Which leads to other bad things, like health care inflation. "People are buying health insurance with 60-cent dollars," he says. "And as a result, they're buying too much of it. They're buying too much health insurance, and that leads to too much health care consumption." So why hasn't the exclusion been taken away? One large and obvious reason is that it would be seen by those who benefit from it as a tax increase. And not all of those people are rich. "A large amount of this tax money would come right out of the pockets of working families," says Tom Leibfried of the AFL-CIO. "The [U.S. House] Ways and Means Committee staff looked at where the tax benefit goes for this tax break. Eighty-one percent of it goes to families making less than $200,000 a year." But the biggest concern, particularly in light of the implementation of the Affordable Care Act, is that taking away the tax break would prompt employers to stop offering coverage. And that would push more people to new health care exchanges that will just be starting to find their footing. "This is a very delicate moment in the history of our health care system," says Jim Klein, president of the American Benefits Council, which represents large employers. "And to now, in addition to all the other change, make changes to the tax treatment of employer-provided health care, would seem to be very risky." The federal health law actually does begin to make some changes to the tax treatment of health insurance. It imposes a so-called Cadillac tax on very generous health plans, starting in 2018. Many people think that given the money involved, however, that tax could be expanded and sped up as part of the current negotiations.